Want luxe spring entertaining? Today the Facundo Rum Collection, the luxury rum from the Bacardi family’s private reserves, launches an exclusive collaboration with Latin American artist Damian Aquiles. 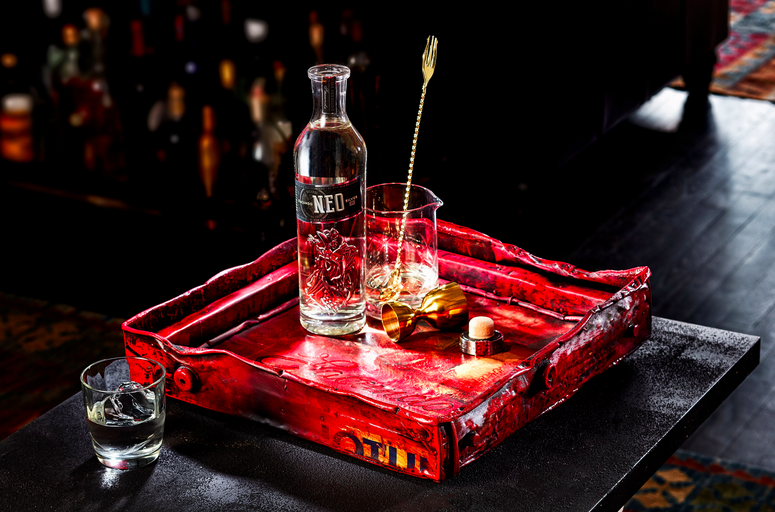 They’re unveiling ten one-of-a-kind luxury bar trays – each created as unique works of art. Art meets hospitality? Sign us up. Marking his first exhibition in New York since 2004, Cuban artist Aquiles is collaborating with Facundo to celebrate the exciting and diverse world of Latin American art and culture that is inherent to the brand’s origin. That’s why each of the Facundo rums is a masterpiece of its kind, born of 150-years of expertise in the art of rum-making but reinterpreted in a contemporary way, with the Maestro de Ron adding his own artistry to the process. Each of the bar trays from the new collection is unique. Featuring vivid hues painted on salvaged and repurposed Cuban-sourced sheet metal, then doused in gasoline and fired up, so no two trays are the same. In fact, select Facundo bar trays will be displayed at the Aquiles “Alquimista” exhibition at the Highline Gallery in Manhattan from March 29 - April 7 curated by Natalie Kates Projects.